© Copyright 2014 John LaFave. You appeared to be a man with a mission . . .
You said you were a man with a mission . . .
'Cause we're the jurors of this inquisition . . .
"Cause we remember . . .
Do you think we might have a short intermission? "My fellow Americans . . . The next president . . . Blah, blah . 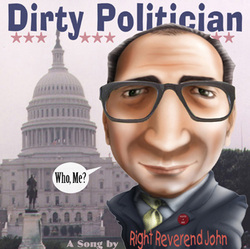 . .
"Dirty Politician" Live @ the 5 Spot.